Hi! 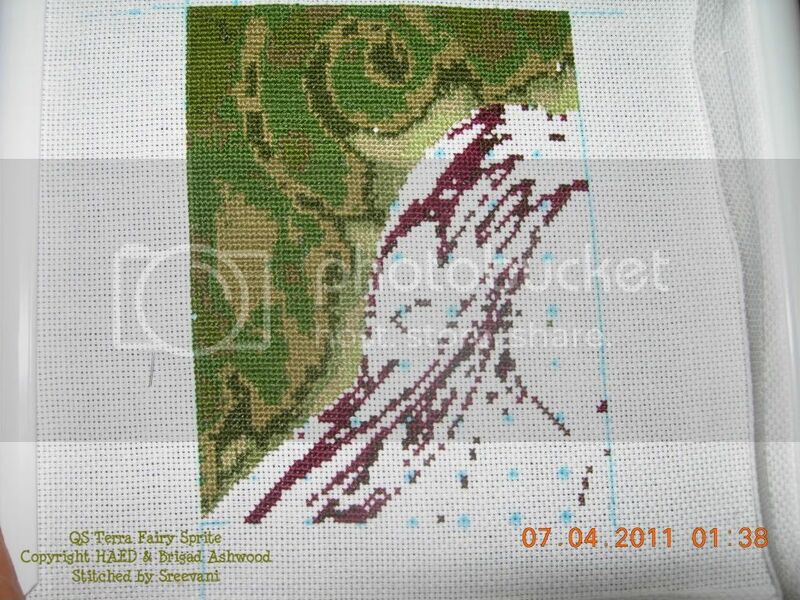 I am currently stitching a HAED chart - QS Terra Fairy Sprite. I started her as part of the Freebie Sal on the HAED Bullitin Board, which I joined back in December of 2010. I am currently on her very first page. I started her in January but only worked on her for three days. Here is what she will look like once completed. Before I picked it up this week here is what I had done. And here is what I have done as of last night. As you can see I like to do Cross Country stitching. I am stitching her on 22 count Aida, 2 over 1 full cross. I have been working on her for a total of about 8 days. 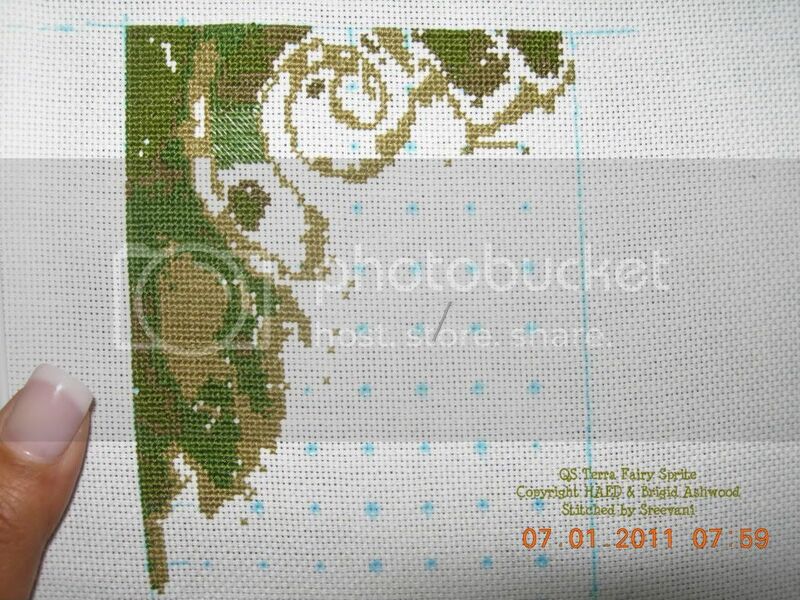 I dont have the stitch count with me but will write that in my next post. I like to work color by color, and hopefully will be able to post a picture of my work after each night of stitching, kind of like a picture diary! Since I work in cross country and one color at a time, its kind of like coloring by numbers!